Can you believe Halloween 2017 is over?! As sad as it is, we’re looking back on our highlights of the season and announcing our contest winners. 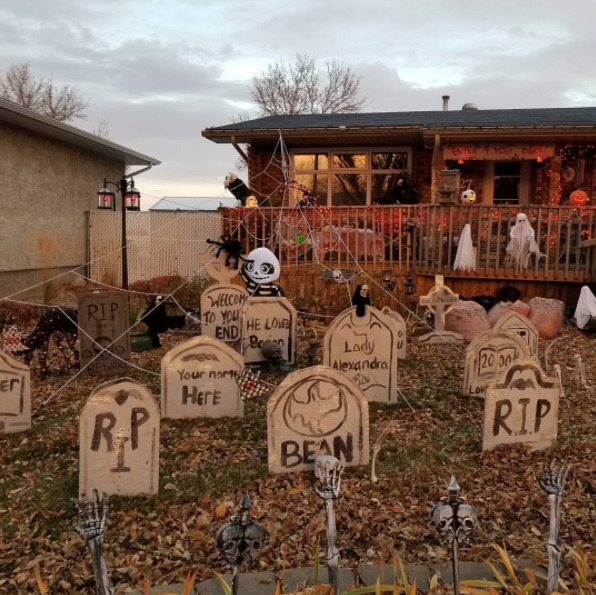 It turns out, there were many great things to do at Halloween across Canada and Melbourne, Australia but you voted Alberta as the best place to celebrate Halloween. Andrea Amy in Calgary was the winning Alberta voter and she won herself four tickets to the TELUS Spark science centre’s Shocktober activities, plus an annual membership. You lot sure know how to make a house look terrifying! After much deliberation, it was decided that @melbiden13 on Instagram had the best Halloween decorated house of 2017. Imagine how long making all those gravestones must have taken! There’s no denying, we had some very creative entries! 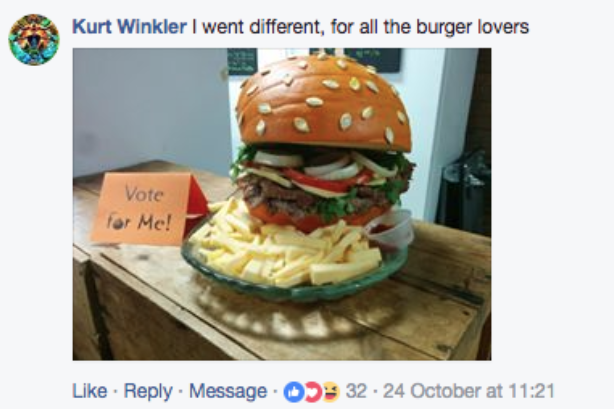 Maybe it was our stomachs talking, but the 2017 pumpkin carving champion was Kurt Winkler with his mouth watering burger pumpkin design. Plus, the fries are made of pumpkin! 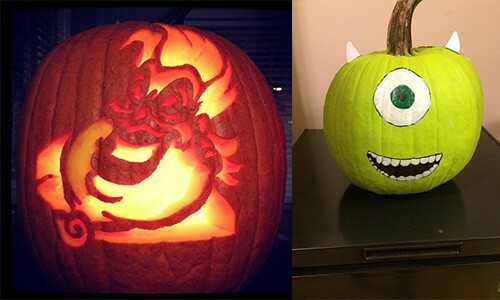 A special shoutout to Caila Seeley and Bradley Ronald who also had some very cool pumpkins. Special shoutout to Bradley Ronald’s impressive Little Mermaid inspired pumpkin and Caila Seeley’s adorable Monster’s Inc. pumpkin. Boy, do you know how to put together a Halloween costume! We’ve seen some incredible homemade costumes, some very cute pet’s Halloween costumes and some funny family Halloween costumes. Deciding on our top three Halloween costumes was a tough decision but we’re delighted to reveal our three 2017 Halloween costume contest winners. 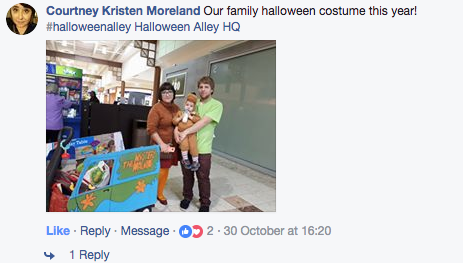 In third place, and the winner of the VR headset, is Courtney Kristen Moreland and her family in their Scooby Doo costumes. We love The Mystery Machine too! 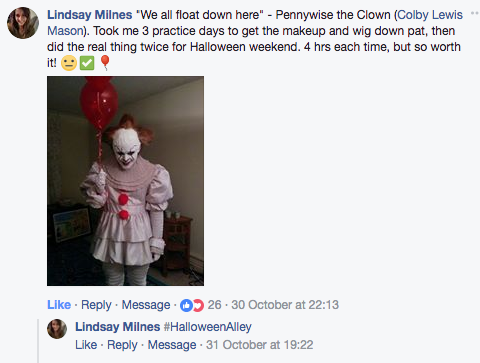 In second place, and the winner of the annual Netflix subscription, is Lindsey Milnes and her terrifying Pennywise costume. Check out the head! 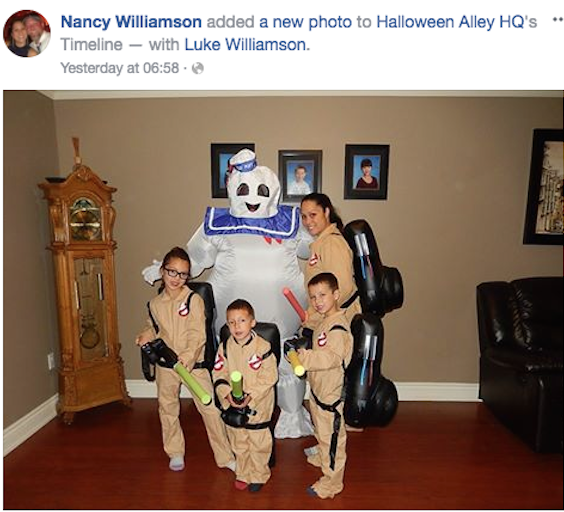 Finally, in first place, the grand winner of the Nintendo Switch games console is Nancy Williamson and her ghost busting family. Congratulations! Thank you to all of you that entered. It’s great to see photos of how you celebrate Halloween. But don’t let the fact that our Halloween stores have closed stop you from showing us your photos. We’d love to see photos of your costume parties, spooky looking cakes and gruesome makeup. Tell us what horror movies you’re watching and what scary campfire stories you’re telling. No matter what time of year it is, we can Celebrate Life. Halloween Style!